The Chained Gothic Shirt from Dead Threads is a fitted, short sleeve shirt. 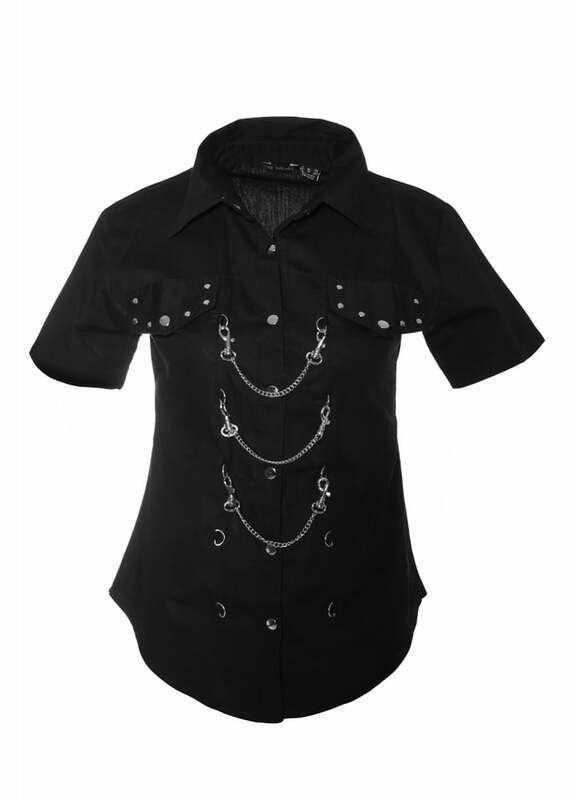 This alternative, black cotton top has a popper stud fastening front and studded breast pockets. The shirt has 3 detachable chains down the front that clip on to D-rings.